By Dr. Eva Evans. A veterinarian and writer for Pets Best, a pet insurance agency for dogs and cats. Sometimes dogs get into things they shouldn’t. Occasionally they eat toxic foods, chemicals or entire indigestible objects. When this happens, your dog may need to vomit up the product that it ate to prevent further problems from occurring. 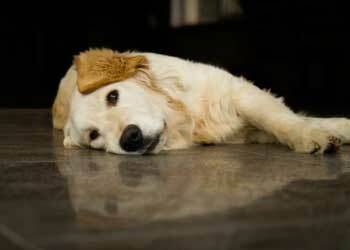 This list outlines what you should know about making your dog throw up with hydrogen peroxide. First and foremost, call your veterinarian immediately to discuss the situation. There are many instances in which inducing vomiting is not the best treatment. How Much Hydrogen Peroxide Should You Use? After you consult with your veterinarian, they may instruct you to bring your dog in for treatment, or they may recommend giving your dog hydrogen peroxide at home to induce vomiting. If your veterinarian instructs you to give hydrogen peroxide, they will tell you how much to give your dog. The rule of thumb is to give 1 teaspoon (5 ml) for every 10 pounds of body weight. This can be repeated once if your dog does not vomit within 15 minutes. Here are four things you should know before attempting to induce vomiting in your dog with hydrogen peroxide. 1. If your dog ingested something more than 2 hours ago, it is probably too late to get the substance out of his stomach. Typically, two hours after ingestion, the substance has already been absorbed or has moved out of the stomach and into the small intestines. When this happens, making your dog throw up will not help. If you do not know when your dog ingested the substance, it may still be beneficial to induce vomiting, but don’t be surprised if nothing comes up. 2. Certain chemicals such as bleach and Drain-O are caustic. They can often cause more damage to the esophagus and mouth if they are vomited back up. It is usually better to let them keep it in their stomach and have your veterinarian treat them in a different way. Sharp, solid objects such as glass and plastic can cause trauma to the esophagus if vomited up, so it is best to avoid inducing vomiting in these situations. Additionally, some items that are accidentally ingested by dogs are harmless and may not need to be treated. It is best to call your veterinarian immediately. Your veterinarian will be able to tell you if your dog needs treatment and if so, the best way to treat him. 3. Dogs that are comatose or lack a gag reflex should not be made to vomit. If your dog vomits and is unable to swallow properly, he could choke on his vomit and aspirate into his lungs causing a severe and potentially fatal pneumonia. If your dog is intoxicated or otherwise impaired, vomiting should not be induced. 4. Be sure to call your veterinarian or the nearest open emergency clinic immediately if your dog digests something they shouldn’t. Depending on the seriousness of the incident, you can also contact a 24/7 Pet Helpline. If vomiting is required, your veterinarian will give your dog special medication (typically Apomorphine) in the hospital to help induce vomiting. These medications are typically safer than hydrogen peroxide. Remember it is much safer and more effective to have your dog induced at a veterinary hospital. Additionally, most toxicities need additional treatment such as IV fluids and activated charcoal for best results.